Query large databases of materials using similarity concepts. 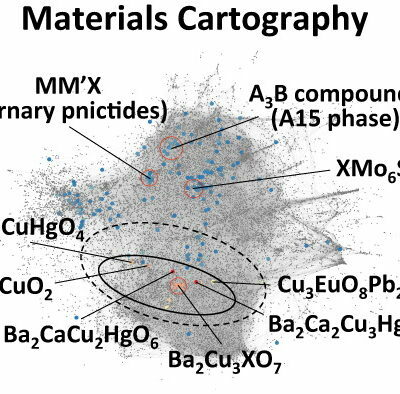 Map the connectivity of materials space (i.e., as a materials cartograms) for rapidly identifying regions with unique organizations/properties. Develop predictive Quantitative Materials Structure–Property Relationship models for guiding materials design. We have introduced novel materials descriptors that encode band structures (B-fingerprints), density of states (D-fingerprints), as well as crystallographic and constitutional information of materials. 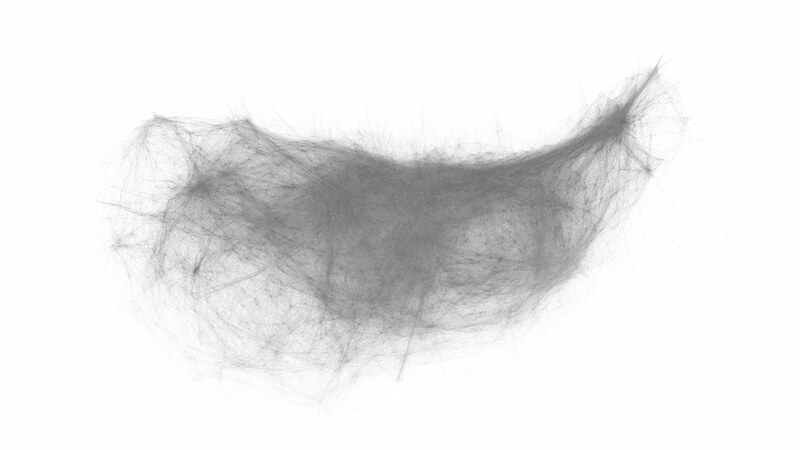 We employed materials fingerprints to visualize large collections of materials as a contact network, or Materials Cartograms. In the cartogram, the nodes of the network are individual materials, and similar materials are connected by an edge. Two materials (nodes) are connected only when the similarity of their fingerprints is above certain threshold. Notably, we have established that in the cartogram, materials with similar properties (e.g., superconductors) tend to cluster together (side image). We have color-coded all materials on the cartogram according to their critical temperature, Tc. All high-Tc superconductors were localized in a relatively compact region centered on a tight group of Ba2Cu3XO7 compounds (so-called Y123, where X=Lanthanides). Their close grouping manifested a significant superconductivity hot-spot of materials with similar fingerprints. Thus, this representation can identify regions with distinct physical and chemical properties, the key step in searching for interesting yet unknown compounds. 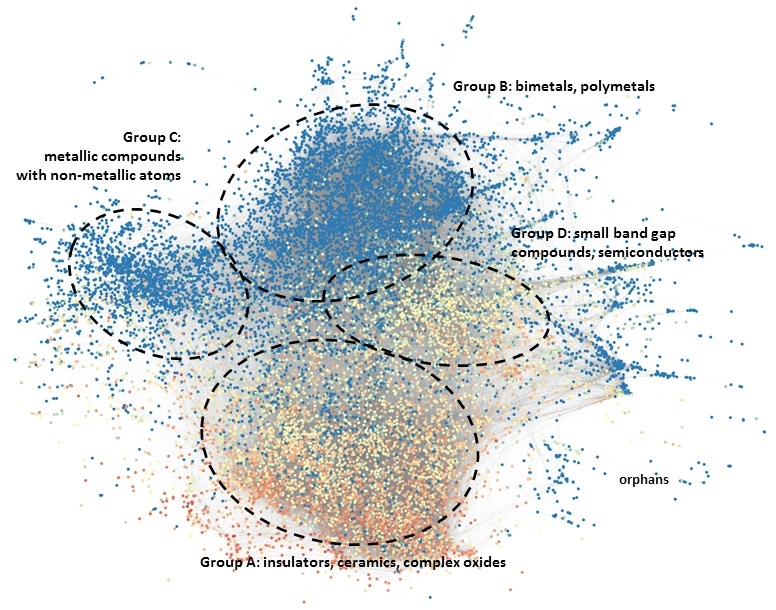 Topology of the D-fingerprint network representation for ~20000 inorganic materials. Mapping band gaps of materials on B-fingerprint network. Points colored in deep blue are metals; insulators are colored according to the band gap value. Four large communities are outlined.